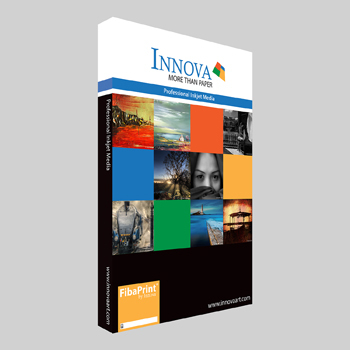 Description : FibaPrint ® Super Glazed has been modelled on the traditional fibre-based material used in conventional photography, to give it the look and feel of a traditional ferrotype dried fibre based paper. Developed with leading photographers, it ’s super glazed, ultra white and ultra smooth surface give it a truly unique quality. The special Micro porous gloss coating has been designed specifically for photographic reproduction and high quality fine art print applications. The acid inhibiting crystal layer technology makes it the perfect digital baryta FibaPrint alternative. FibaPrint ® Super Glazed has an extremely large colour gamut and D-max rating. 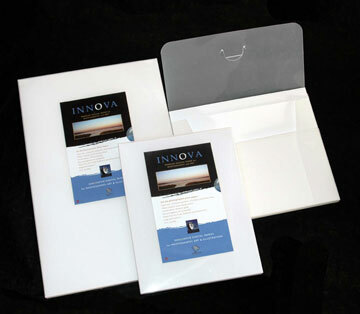 It is an acid free base paper, single side coated. Also available in 50 sheets boxes.